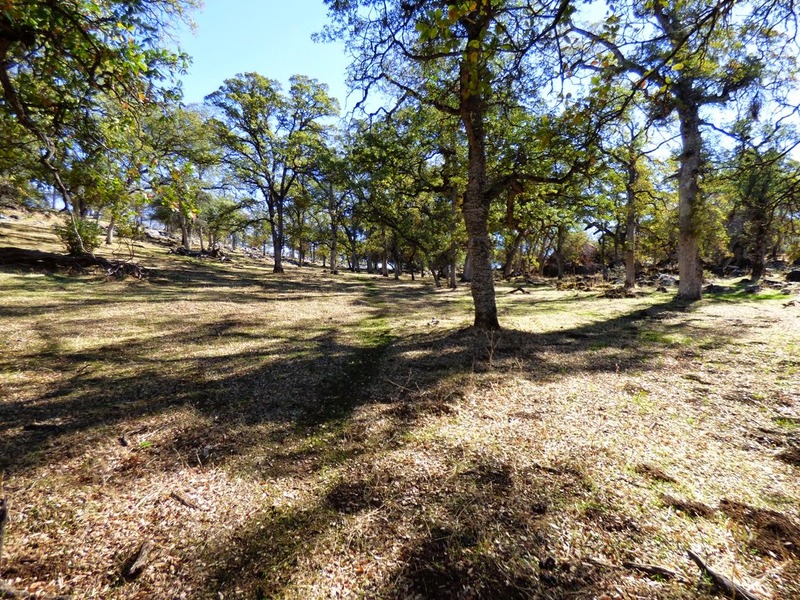 There is a treasure in the Mother Lode of California's Sierra Nevada. It lies hidden beneath the surface, but it's not gold. It is a wilderness, but has no beautiful trees or distant vistas. It is dark and sometimes can be a bit creepy, but it is a place of incredible beauty as well. It is a network of caverns, hundreds of them. A half-dozen are tourist destinations, with lighting, pathways, and guided tours. The rest lie hidden, protected from vandals and abuse only by their secrecy. 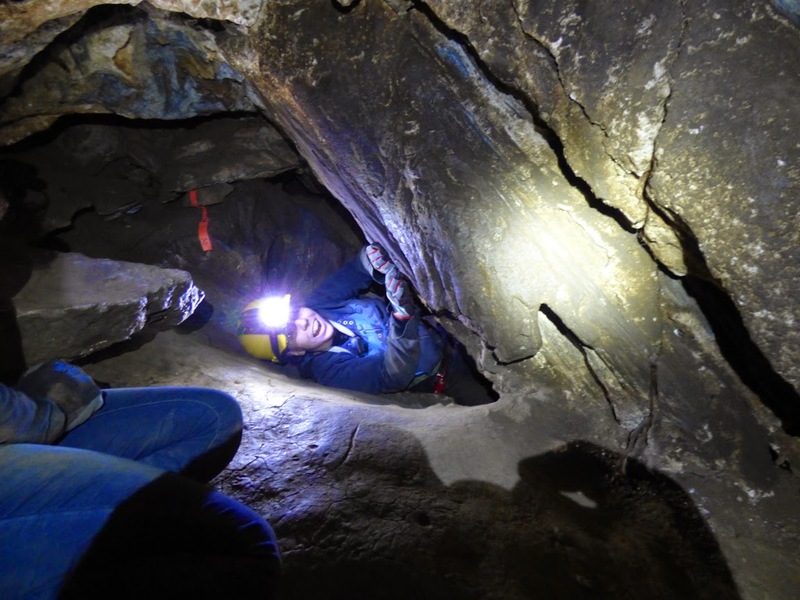 I had the pleasant opportunity of introducing some of my students to the Sierra Nevada Underground today, exploring a pair of small caves in the Mother Lode on the slopes above the Stanislaus River. Many of the caves in the Sierra are dangerous, with steep drop-offs, impossibly tight passageways, and even bad air at times. Every cave, like any wilderness, can be dangerous, but the caves we were exploring were less intimidating than most. Falls were possible in these caves, but they would be on the order of six feet instead of forty feet, or a hundred. 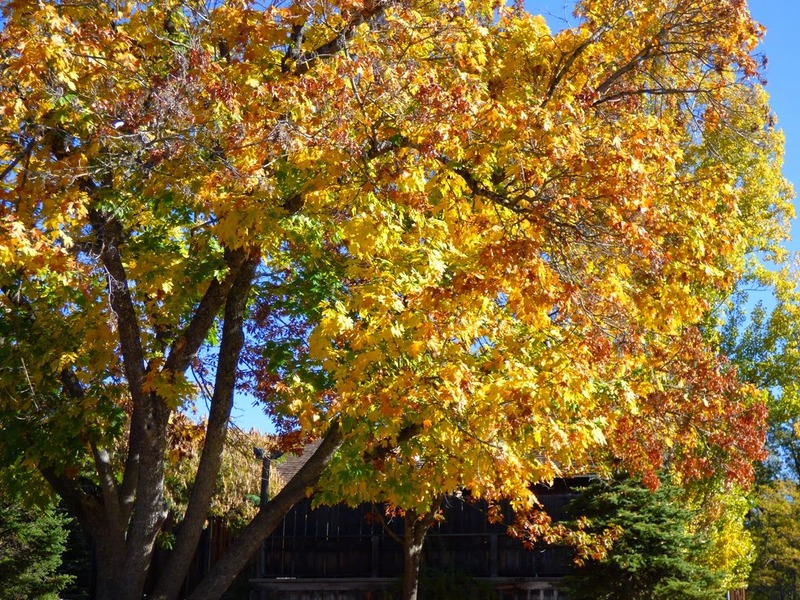 We headed for the hills above Columbia, stopping in the historical town for a few moments to enjoy the fall colors (and to use the facilities). 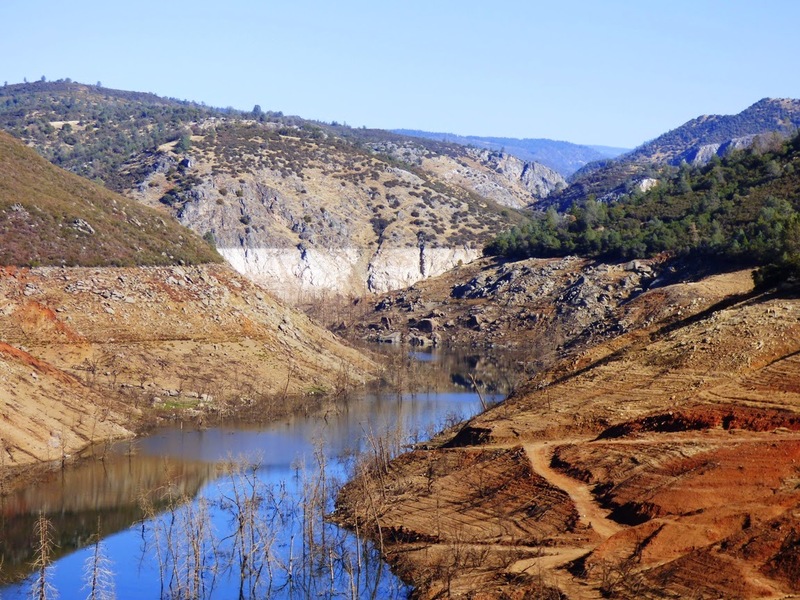 A nearly empty New Melones Reservoir and the gray marble of the Calaveras Complex. We crossed the Stanislaus River and the frighteningly empty New Melones Reservior. The marble, a part of a metamorphic terrane called the Calaveras Complex (late Paleozoic-early Mesozoic), could be seen as gray slopes in the distance upstream. 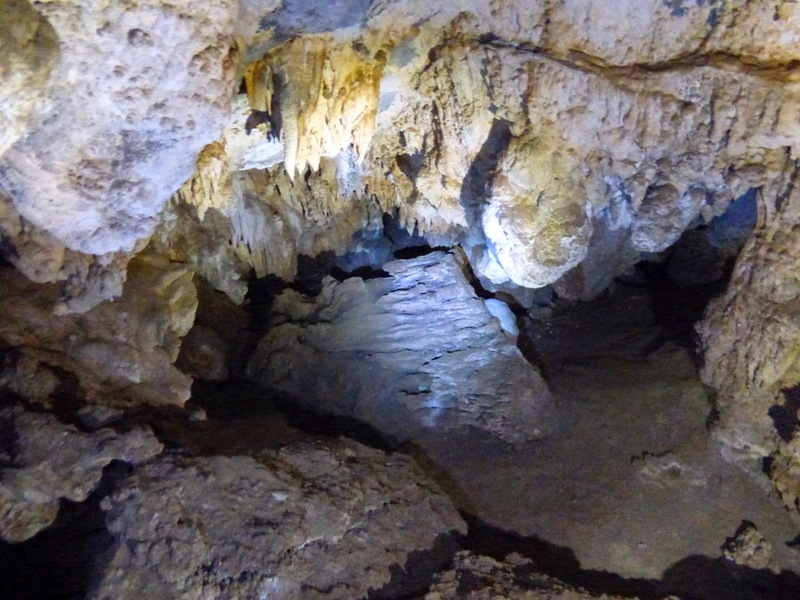 There are over a thousand caverns in the Sierra Nevada, and dozens of them are in the slopes above the Stanislaus River. Many incredible caves were drowned by the waters of the reservoir. 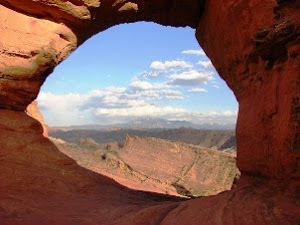 Others open out into sheer cliffs above. Few are easily accessible, and many of these have been heavily damaged by vandals and ignorant visitors. That's what makes these caves special. They are at the end of a pretty stiff hike, but they have accessibility, and are relatively undamaged (this concept is relative; some would call them heavily damaged, but many parts are in good shape). One of them is relatively small, but has some good places to practice crawling, and has enough passageways to give a sense of exploring. 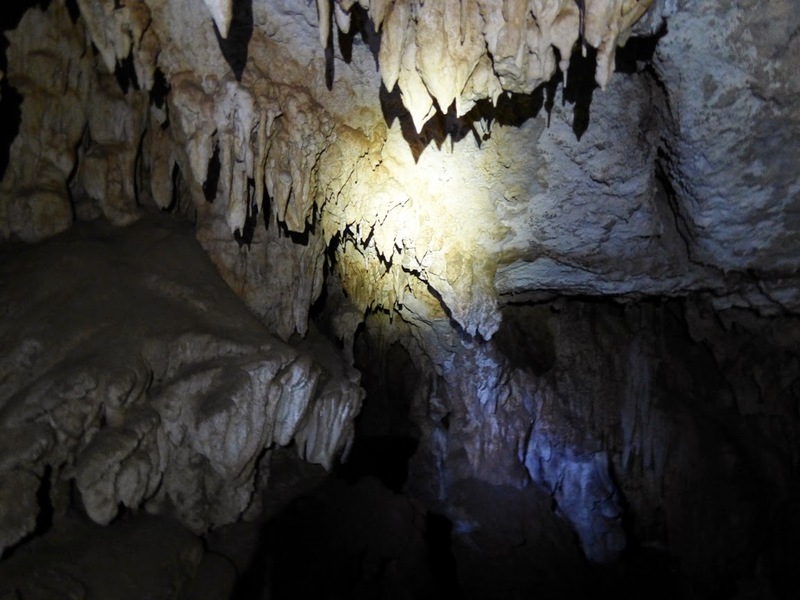 Most of the caves in the Sierra are monitored by the local speleological society, and they contain a register so visitation levels can be estimated. A party had been in these caves a week previous, but it had been several months since any earlier visits. 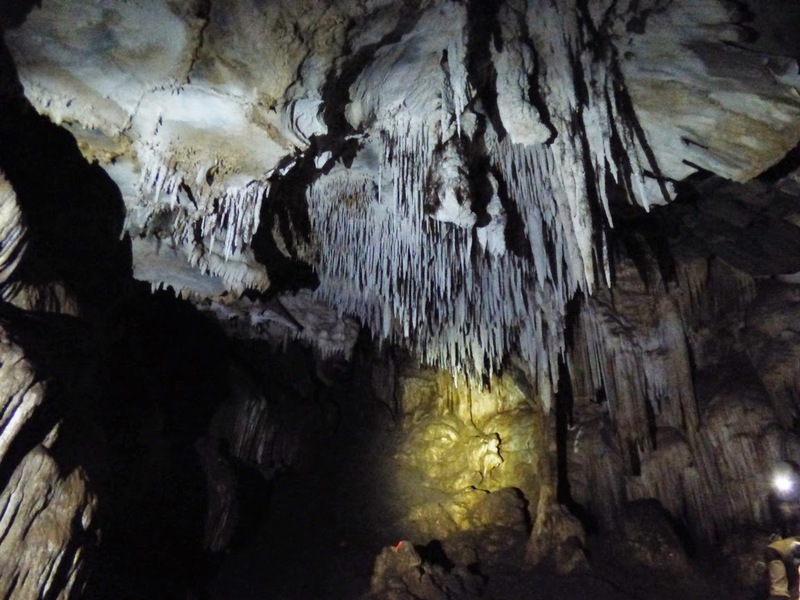 The features and "decorations" of caves are called speleothems. 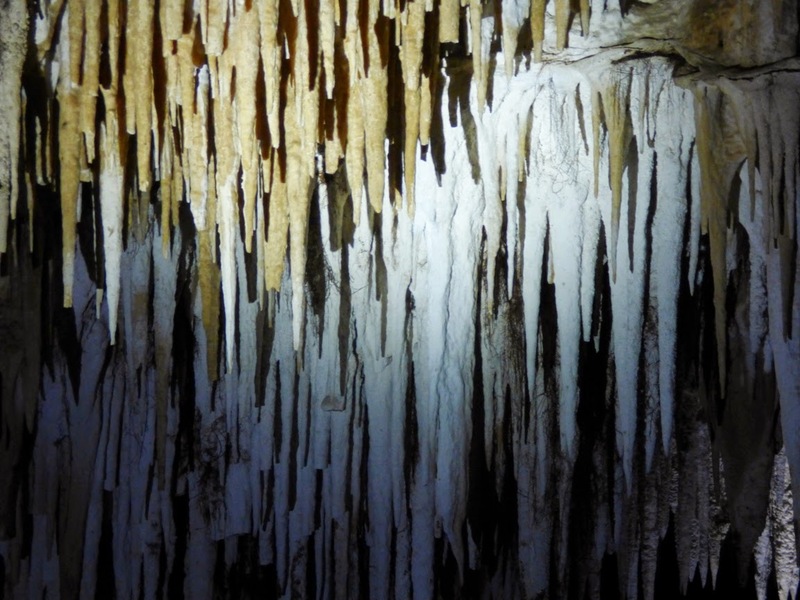 The familiar stalactites, stalagmites, and columns are called dripstone speleothems. As the name suggests, these form when calcium carbonate rich water drips from fractures in the ceiling of the cave. A little bit of calcite precipitates out as the water evaporates. 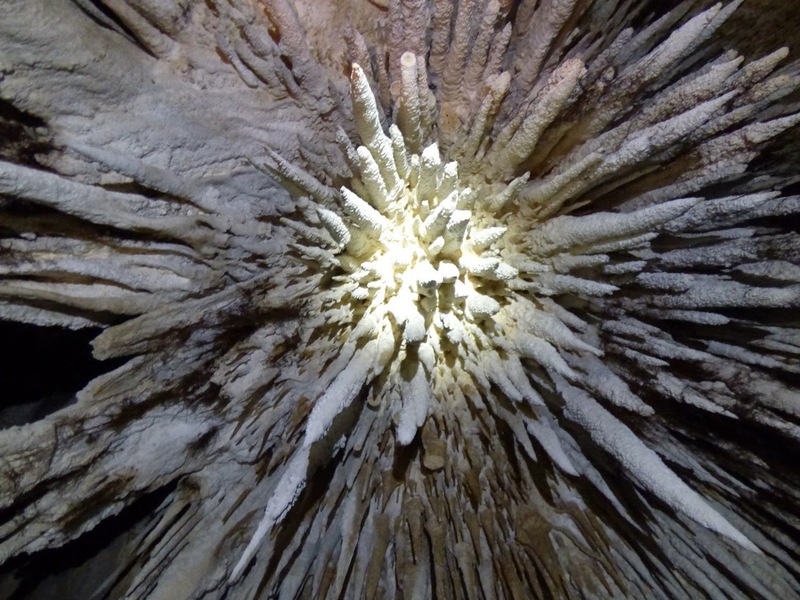 Other speleothems are called flowstone features. These are cave decorations that develop as water flows out the walls of a cavern. These might include draperies, shields, or rimstone pools. We finished our spelunking practice at the small cave, and moved on towards the larger, more challenging cave. Accessing the cave required first descending between huge fallen boulders. 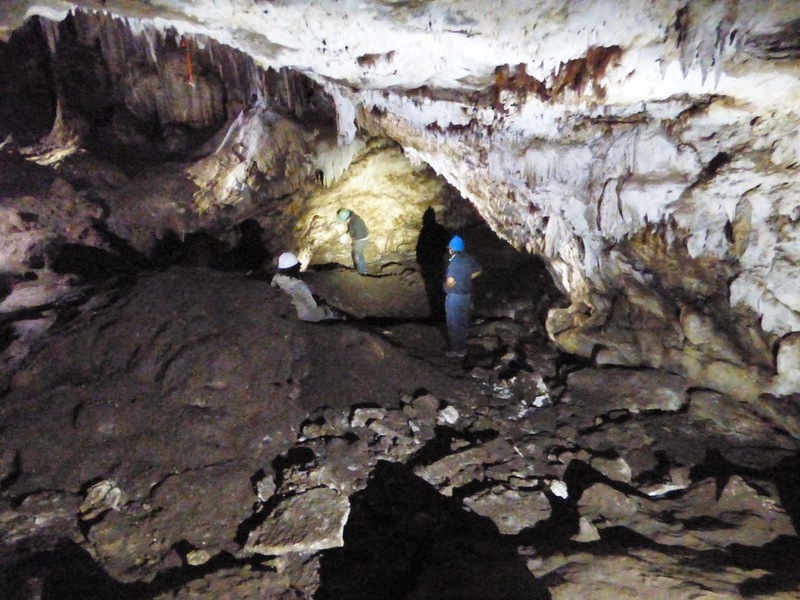 The cave had grown so large that portions of the roof had collapsed to form sinkholes. We found a spot with good footholds and climbed into the darkness. 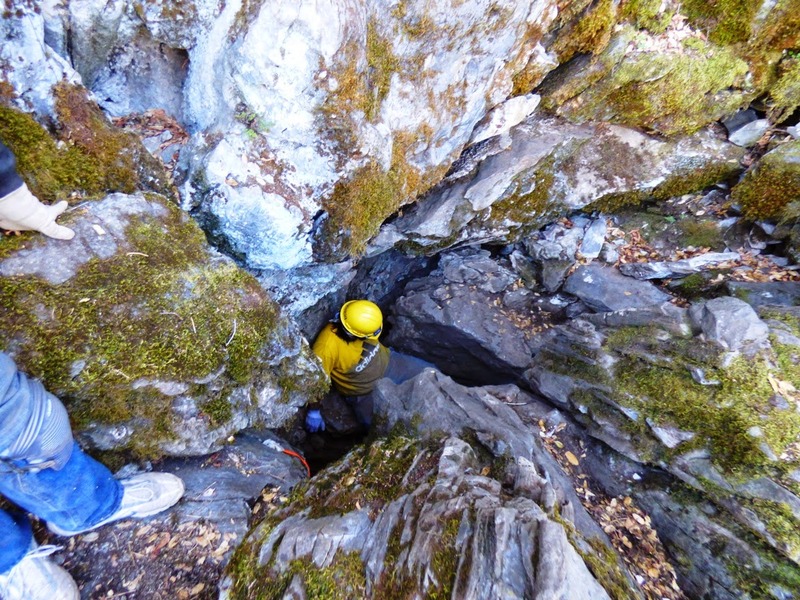 The second challenge was getting into the main cave via a narrow passageway at the base of the rockfall. One has to push upwards and twist through the tight little space. Some of the students described it as being "born again". Not everyone gets through, but we had a stubborn crew, and they all successfully negotiated the passage. The entrance merges into a more open room that serves as the "subway" into the largest room in the cave. This passage is where most of the cavern damage has occurred. It's not clear whether this is the work of vandals, or more likely, the breaking of the formations to forge an easier passage into the room beyond. This kind of thing happened to many caves discovered in older days (I don't know the history of these particular caverns though). I was still helping students get through the entrance when I heard the others exclaiming in delight at the first view of the big room. There is a rather stunning collection of stalactites hanging from the ceiling, the majority of which are unbroken. The big room is almost 100 feet long and 30-40 feet wide. It is richly decorated with all kinds of dripstone and flowstone features. Some are brown from torches of the early explorers, or from mud seeping through the cracks above. Other features show evidence of recovery from the "dirty early years". 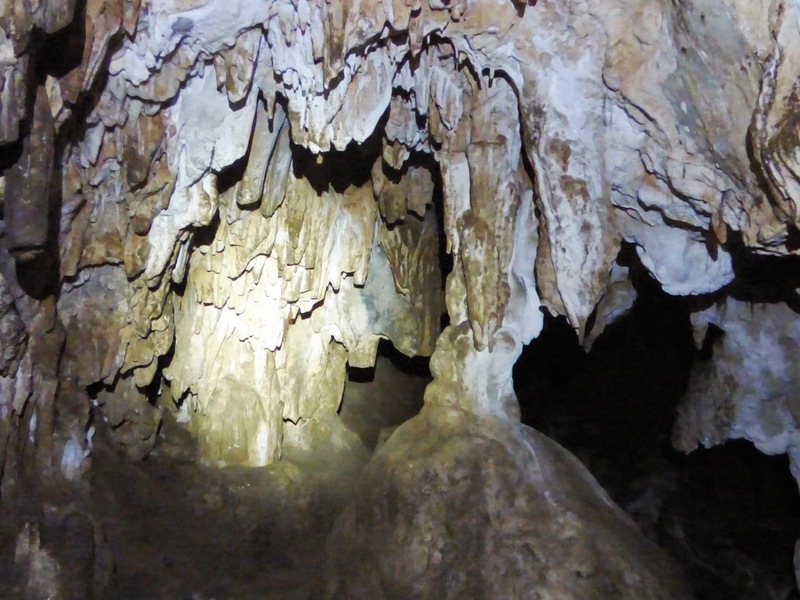 The adoption of clean caving techniques in the last few decades shows as some of the cave features are covered with a thin layer of pure white calcite. Some of the caves are being cleaned by volunteers as well. 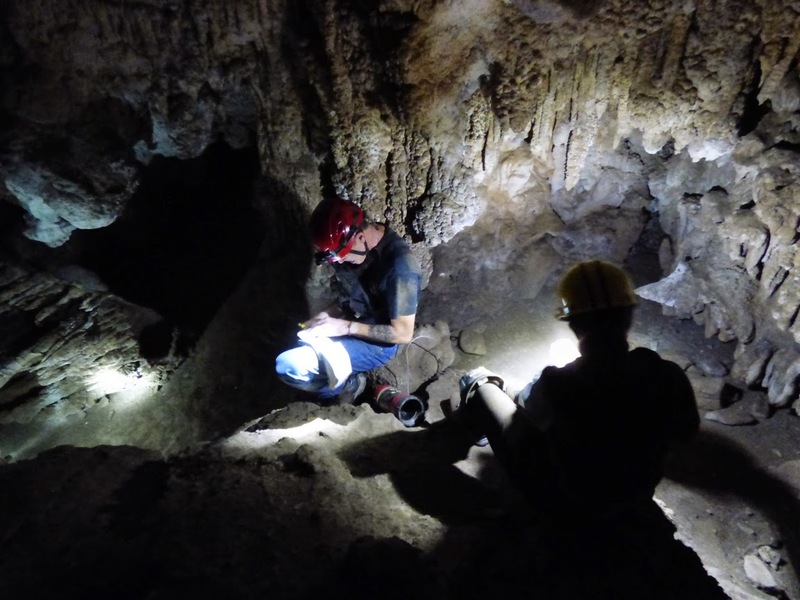 In some cases, people haul gallons of water down difficult trails, set up hoses into the caves, and then spray mud off of damaged speleothems. There are all kinds of nooks and crannies to explore. There is a false floor in the cave that offers a loop crawl. There is a small passageway called the bedroom and another called the jail room. Openings high on the walls and ceiling hint at other passageways. What about cave life? We saw spiders near the entrance, and an unusual looking snail. In previous trips we have seen six inch long centipedes, and Ensatina salamanders. There have been a couple of bats. The total darkness of caverns offers little in the way of food, so the biomass quantity of the cave is very low. The creatures that do exist are highly adapted to environment of the caves. An Ensatina Salamander from a trip to the cave in 2003. 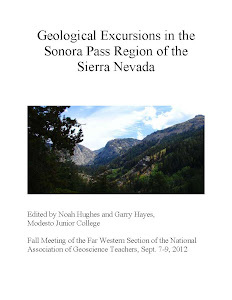 The wilderness caverns of the Sierra Nevada are a precious and irreplaceable resource. The breaking of any speleothem destroys the result of thousands, even tens of thousands of years of slow development. They can never be replaced in any kind of human lifetime. 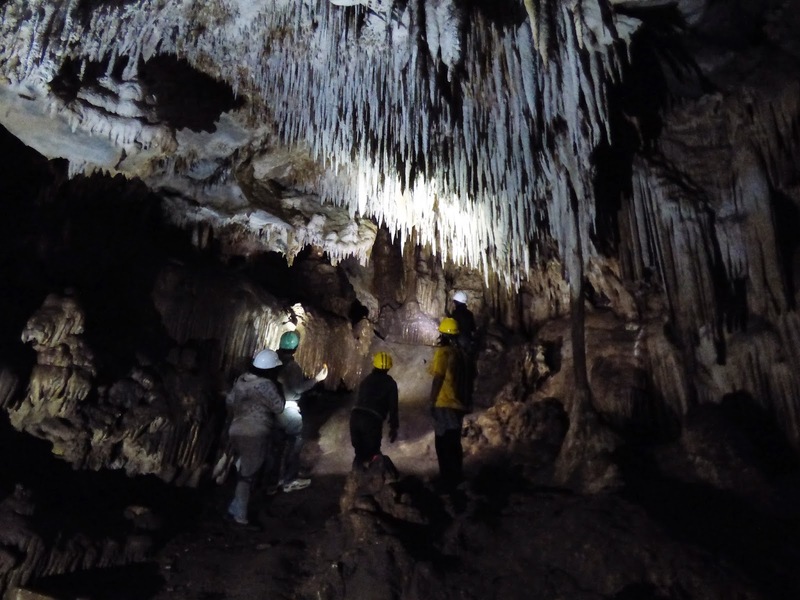 A major part of our preparation for this trip was instruction in the ways of clean caving, conducting ourselves in such a way as to protect the cave to the greatest extent possible (the simple act of exploring has effects). 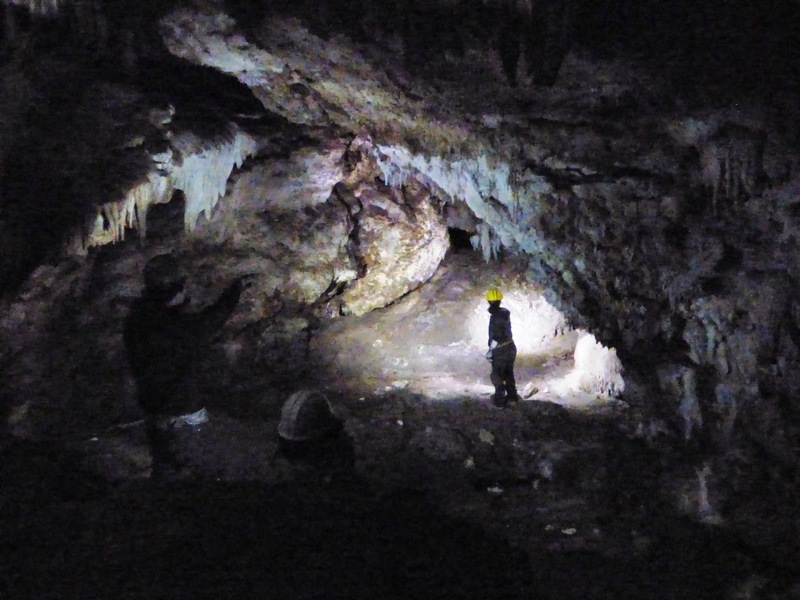 It was a rare privilege to be able to explore this underground wilderness, and it was a privilege for me to introduce my students to this strange new world. We finished up and started to climb back into the entrance chamber. I lingered for a few minutes after the others had left. I wanted to hear the silence and just feel the pulse of the cave. A cave is such a strange and alien world for a human being, at least the deeper parts away from the light. No wonder that some of our first art was scrawled on cavern walls as sort of drug-free hallucination of alternate worlds. Caves were portals to lower worlds, or were the avenues for emergence into our current world. Sitting in the darkness, I felt a connection to my ancestors. And then I looked up, over my head. Oh crap, I'm in a dark cave alone with gigantic spikes just waiting for an earthquake to drop them on me! I quietly excused myself and caught up with the rest of the crew (of course, given the number of earthquakes here over the course of geologic time, the likelihood of these things falling is nil). We climbed out of the cave and headed back up the long hill. It had been a great day in the Sierra Underground. You have no doubt noted that I have not provided the names of the caves we explored. 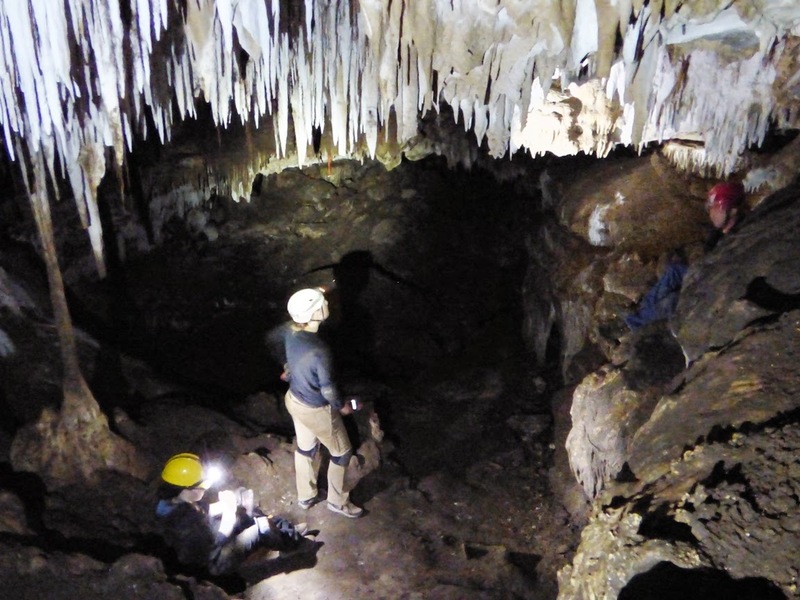 If you want to get involved in cave exploration, you should contact your local grotto of the National Speleological Society. They provide instruction and training, as well as chances to clean and rehabilitate caves that have been damaged by vandals and overuse. They are great people. And don't forget, the tourist caves in the Mother Lode are wonderful. They are safe and easy to explore. Check them out! Did you find the one with the bad air at the bottom? I never want to find that one!